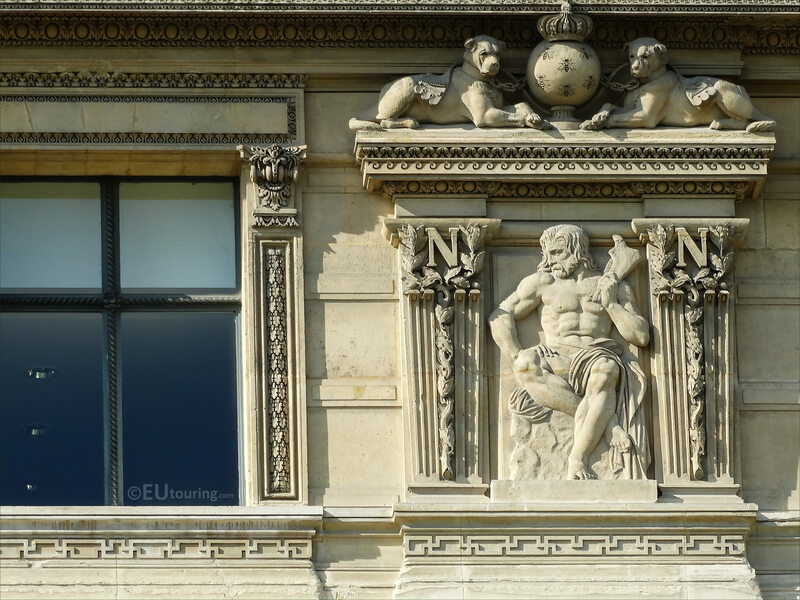 Again we were in the 1st Arrondissement at the Musee du Louvre, when we took these high definition photos of a bas relief, which was sculpted by Gabriel Jules Thomas. 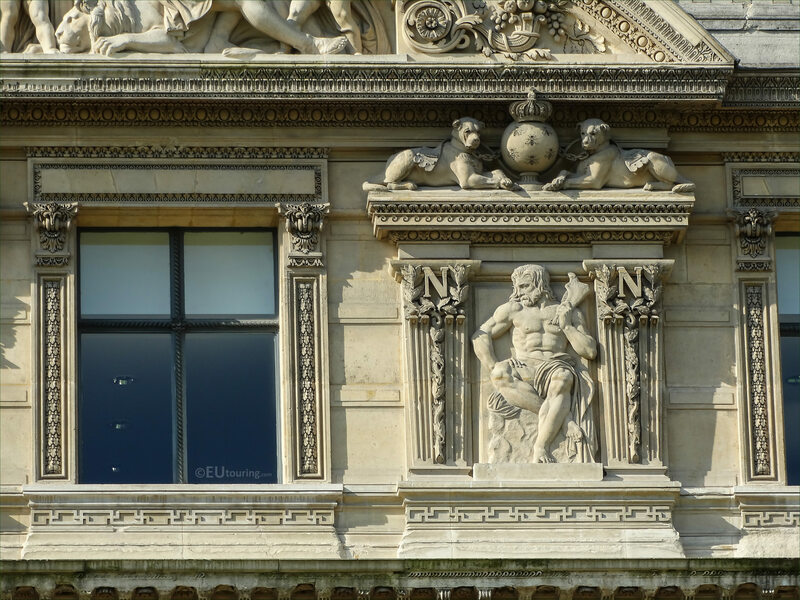 This first HD photo shows a bas relief, called a low relief in English, that can be found on the wing of the former Palais du Louvre called the Aile de Flore, which was sculpted in stone back in 1864 at a time when numerous embellishments were being added to the facades during its restoration in order to make them more ornate. Unfortunately we have not been able to find out the name of this sculpture or who this is meant to depict, but when you are looking at this wing and counting from the left, this particular bas relief can be found to the right hand side of the seventh window on the third level below the pediment, in other words, the third relief from the right hand side. Yet this bas relief was produced Gabriel Jules Thomas who was born in Paris in the September of 1824, and studying to become a French sculptor just like his father was, he entered the Ecole des Beaux Arts and won the Prix de Rome in 1848, which meant he could further his studies at the Villa Medici French Academy in Italy. Gabriel Jules Thomas started presenting works at the Paris Salons, which led to numerous public commissions for statues and sculptures that can be found at tourist attractions such as the Comedie Francaise, Palais Garnier Opera House, Eglise Saint-Etienne du Mont, and several for The Louvre, receiving many medals throughout his long successful career, also being awarded the Legion of Honour in 1903.